There's probably a neat mathematical term for such a conversion, but I don't remember which (matrix something?). Feel free to suggest a better name for the question. Edit: To clarify, ultimately I want to get rid of the original (two row) version and continue working on the converted one. TRANSPOSE(), mentioned by Al Everett, got me very close but not quite there. 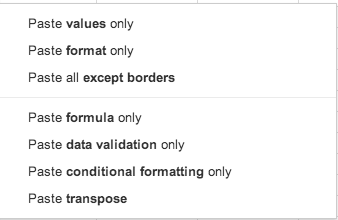 I want the raw data in the transposed version, not cells that mirror the original ones. 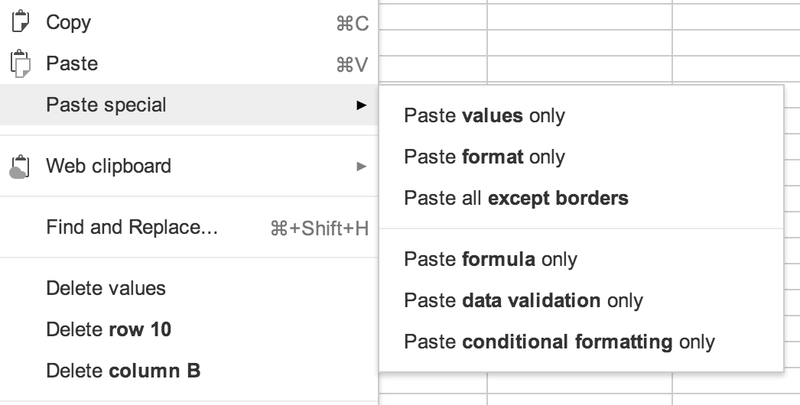 If you're using the "new" Google Spreadsheets, in the "Edit" tab menu, under "Paste special", the last menu voice is "Paste transposed": it does exactly what you need in a single task. In the upper left cell where you want this to appear, enter =TRANSPOSE(A5:Z6) (or whatever your data range happens to be).